In July 2018, the ASCI investigated complaints against 295 advertisements. For 79 advertisements, the advertisers promptly ensured corrective action as soon as the complaints were received. ASCI's Consumer Complaints Council (CCC) upheld complaints against 176 advertisements from a total of 216 evaluated by them. Of the 176 advertisements, wherein the complaints were upheld, 111 belonged to the education sector, 25 to the food and beverages category, 21 to the healthcare sector, four to personal care, and 15 were from the 'others' category. The most common reason for upholding complaints was superlative claims by advertisers, especially for education sector advertisements. The claims were unsubstantiated and misleading that they provide '100 per cent placement' or they are 'No. 1'. The other reasons comprised making claims which were misleading by ambiguity or by implication, exploiting consumers' lack of knowledge and likely to lead to grave or widespread disappointment in the minds of consumers. This was followed by violations of the Drugs and Magic Remedies Act (DMR Act) and the Drugs and Cosmetics (D&C) Rules, and those advertisements that contravened various ASCI guidelines. 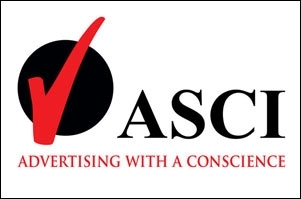 Amongst various advertisements that were examined, the CCC observed some that were in violation of ASCI Guidelines for Celebrities in Advertising. An eminent sports celebrity was found to endorse an artificial sweetener that claimed to control blood sugar. Another celebrity was found to endorse a shampoo brand promising to make your hair problem free. Furthermore, a renowned celebrity was found to endorse a water purifier wherein the claims made in the advertisement were not substantiated. 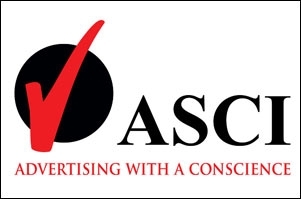 "ASCI's Suo Moto surveillance of print and TV advertisements picks a large number of potentially misleading advertisements. The Consumer Complaints Council finds that a major proportion of these advertisements belong to the Education Sector. Educational Institutions, which offer programs of education and training, play a vital role in building educational capital in India. Parents, too, make great sacrifices to enable their children to get the right education. Therefore, high incidence of misleading advertisements in this sector is worrisome and requires urgent attention from the Ministry of HRD," said Ms Shweta Purandare, Secretary General ASCI. The advertisements given below were complained against by the general public or by industry members. 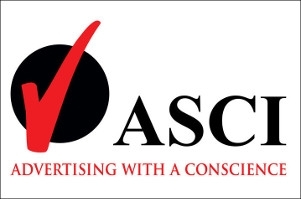 Of the 103 advertisements complained against, for 24 cases, the advertisements were promptly withdrawn by the advertiser on receiving ASCI communication. For the remaining 79 advertisements, complaints against 39 advertisements were upheld by the CCC of which 14 were of the Food and Beverage category, 10 to the Education category, three belonging to Healthcare sector, two to the Personal Care sector, and 10 belonging to the 'Others' category. Danone, Shiv Agro Food Products (Shudh Amras), Hem's Food (Hem's Millet Soupy Noodles), Hem's Food (Hem's Noodles - Natural Taste Mix- Tomato Onion), S.K.B. Industries (Aunty Supari), Kelzai Secrets (Kelzai Volcanic Water), Zenith Nutrition (Zenith Resveratrol Plus Gymnema), (Hawthorn Extract), (Ginkgo Biloba Bilberry Lutien), (Zenith Astazanthin), (Chaste Berry) and (Memory Fab Capsules). Complaints against advertisements of five educational institutes listed below were UPHELD mainly because of unsubstantiated claims AND/OR misleading claims that they provide 100 per cent placement/ placement assistance AND/OR they claim to be the No. 1 in their respective fields. The CCC found claims of three advertisements in healthcare products or services to be either misleading or false or not adequately/scientifically substantiated, hence, in violation of the ASCI Code. Complaints against the following advertisements were upheld - Bhargava Phyto Lab, Medlife International (Medlife Copper Bottle) and Altos Enterprises (Oregel Diab). Natraj Atta Maker, Hyundai Motors India (Hyundai Creta), Gillette India (Oral- B Toothbrush), Kalyan Group, Godrej Consumer Products (Good Knight Power Active+) and (Good Knight Powerchip), Sunny's world and IncNut Digital (Stylecraze). The advertisements mentioned below were picked through ASCI's Suo Moto surveillance of Print and TV media via the National Advertisement Monitoring Services (NAMS) project. Out of a total of 192 advertisements, for 55 cases, the advertisers withdrew the advertisements as soon as they received communication from ASCI and the remaining 137 advertisements were considered to be misleading. Of the 137 advertisements, 101 belonged to the Education category, 18 to the Healthcare category, 11 to the Food & Beverages category, two to the Personal Care category, and five belonged to the 'Others' category. Chandigarh University, Gitam University - Gitam Institute of Management, Career Point, Sri Sai Coaching Centre, Yuwam Education, Abhigyan Sarokar, Avinashilingam Institute for Home Science & Hr ED, Made Easy, My Class Teacher, S K Educations (Bachpan Play School), Lathi Classes Nanavati, Adelante Education, Balaji Institute, Biology Trunk Coaching Institute, Bodhayan Coaching, Budania Education Group (Budania IAS Academy), Saksham Education Institute, Siksha O Anusandhan University, Spurthy Institutions, College of Banking Studies (CBS), Khelgaon Public School, Aravali Institute, Arjun Classes, Budania Education Group (Budania IAS Academy), BSC Academy, Shivani Public School, Turning Point Defence Academy, Millennium Software Solutions, N. M. Classes, NIBF-Institute of Banking and Finance, Quest Coaching, Budania Education Group - Budania IAS Academy, Centurion Academy, Chaitanya Junior College and Dr. Mehta's Classes. Vinay's IAS Academy, Brilliant Tutorials, Dr. Virendra Swarup Group of Institutions, V Rahul Coaching, Sri Akshara Coaching (Nellore), Turning Point/Srushti Pu Clg, Bhanwar Rathore Design Studio, Panache Academy, Vijetha Coaching Centre, Global Institute - Global Computer Training Academy, Matsya Health Care Skills Learn Academy, Heer Computer Education, Kaplon Education Pvt Ltd. (American Academy of Aviation & Hotel Management), Sri Chaitanya Degree College, Shekhars Institute, Zee Interactive Learning System (Kidzee Pre School), Indian Safety Solution-VC, Alpha Entrance Academy, Amirta International Institute of Hotel Management, AMITY University, Blooming Buds Foundation School, Rakshak Defence Academy, S.S.S College, St. Soldier Group Institutions, Subhas Bose Institute of Hotel Management, United Group of Institutions United College of Engineering and research, Universal Group of Institutions, Vasan Institute of Opthalmology and Research, Vignan Vidyalayam Junior College, Vellore Institute of Technology- VIT, Global Council of Education Research and Training, Ayurillam Ayurveda Hospital abd School of Nursing International, Hindustan Air Academy, IITC (India International Trade Center), Cavalier India, Knowledge Academy, Ishwar Kripa Career Inst (JPR), APNET Computer Education, ASEL English Learning Centre, Basara Institute, Siddhartha Institute of Hotel Management and Catering Technology, HT Learning Centers Pvt Ltd (Study Mate), Swamy Abedhanandha Polytechnic College, NRS Brilliant Junior & Medical Academy, Nucleus Chemistry Classes, Zabeel International Institute of Management and Technology, G-Tec Education Computer, Indian Institute of Hotel Management, Institute of Technology & Management, Millennium Software Solutions Pvt. Ltd, Munimji Training & Placement Academy, National Council for Fire & Safety Engineering, Neev Classes, Global Institute of Technical Design, Cellsius AIIMS/ NEET, Computer Foundation, Cosmo Career Institute, Defence World, Delta Defence Academy, Gandhi Institute of Hotel Management, Doon Group of Colleges, FCI Institute of Hotel Management, Futurecareer Solutions Pvt. Ltd, Maharaja Indrajeet Singh College of Nursing and Giani Zail Singh Campus College of Engineering and Technology - Maharaja Ranjit Singh Punjab Technical University. The CCC found claims of 11 advertisements in Healthcare products or services to be either misleading or false or not adequately/scientifically substantiated, hence, in violation of the ASCI Code. In several cases, it was observed that the advertisements exploit consumers' lack of knowledge and are likely to lead to grave disappointment in the minds of consumers. Complaints against the following advertisements were upheld - Sriram Clinic, Royal Lips Lotion, Super Thyroid Capsule, Dr Alagappans Kidney Care Centre, Dr Care Homeopathy, Taj Dawakhana, Artreya Ayur Panchkarm Clinic, Sagar Dispensary, MDJ Agro Fibre (Payasa High Fibre Energya), Scala Skin & Hair Transplant, and Akshar Clinic. Kaleesuwari Refinery, Kaleesuwari Refinery (Gold Winner Vita D3), Cargill India (Leonardo Just Lite Olive Oil), Tirumala Milk Products (President Butter), Eveready Industries India (Eveready Tez Tea Premium), A-One Tea Company, Dharwad Mishra Pedha & Food Processing Industry(Big Mishra Pedha), Rising Sun Sales Corporation (Jinwar Ragi Malt), Palash (Savoury Meera Powder) Udyog Gold Chuddaz and Shyam Oils - Sona Sikka Refined Groundnut Oil. Dream11 Gaming (Dream11.com), Munna Agarbatti Company (Munna Agarbatti Range), S K Mfg (Godrej NXW AC), KCM Appliances - Impex Dual Inverter AC and Rajdhani Cables (Rajdhani Wires & Cables).